Sometimes it’s the craziest ideas that produce the most effective results, especially in the world of marketing. There’s no quicker way to grab someone’s attention than to catch them off guard and to do something original. As such, we wanted to share a couple of our favorite outside the box marketing ideas from different companies around the world. What do you do when a billboard just isn’t big enough? Target decided to get creative in order to construct a giant physical multimedia advertisement. By renting out all of the street facing rooms in Manhattan’s Standard Hotel, opening up their curtains, and projecting bright lights, a large interactive and dynamic ad was created. While similar in for all intents and purposes to a billboard, this giant outside the box display also featured live dancers in each of the rooms as well as DJ orchestrated score. This fascinating and incredibly intricate display manages to play around with the concept and ideas behind successful billboard campaigns while not being held back by the constraints of the medium. Everybody loves free stuff. There’s nothing like putting your brand on a bunch of cheap merchandise and giving it away in order to keep people thinking about your message. These types of marketing campaigns are usually very successful, if a bit costly. When a rock station in Glasglow, Scotland decided to try a promotional give away of their own, they figured they’d cut costs a bit. The humor and cheekiness of this ad is designed to catch people off guard and inspire them to tell their friends. Indeed, the creators of the ad were successful as soon their displays of this outside the box marketing idea were being shared all over the world through various social media platforms. In the same vein as the last campaign, this campaign also seeks to raise buzz through giving out free stuff. Also much like the last campaign, it subverts the actual manufacturing aspect of such a campaign in a clever and unexpected way. 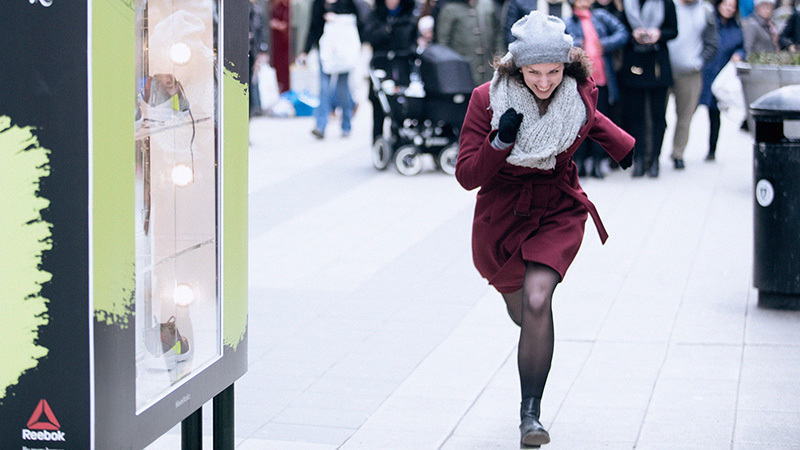 While not actually providing anything of use to passersby, this crazy marketing ad manages to trigger the animation of passersby and still manages to create the same positive feeling associated with receiving free stuff. It’s likely you’ve probably seen one of these billboards at one time. However, this marketing campaign goes beyond a single billboard and has actually been running since 1995. This series of ads featuring cows making their own signs and billboards promoting the increased consumption of chicken always feature physical cow props and a stark black and red on white color scheme. The consistency and number of these ads are what propels them past being simple one off billboards and make them a larger overarching campaign. Chick-Fil-A’s history is an interesting note in that of the history of billboards as well. While their competitors were building their brands through commercials, Chick-Fil-A’s innovative billboard campaign brought it enough success on a much smaller budget. Whether it’s films or games, launching a new IP is tough business and carries a lot of risk. So when Ubisoft decided a videogame title from a new IP, they knew they needed an effective marketing campaign to sell people on the idea. Watch Dogs is a game in which the protagonist uses their smartphone to hack into the world around them, changing streetlight colors and even stealing cars. 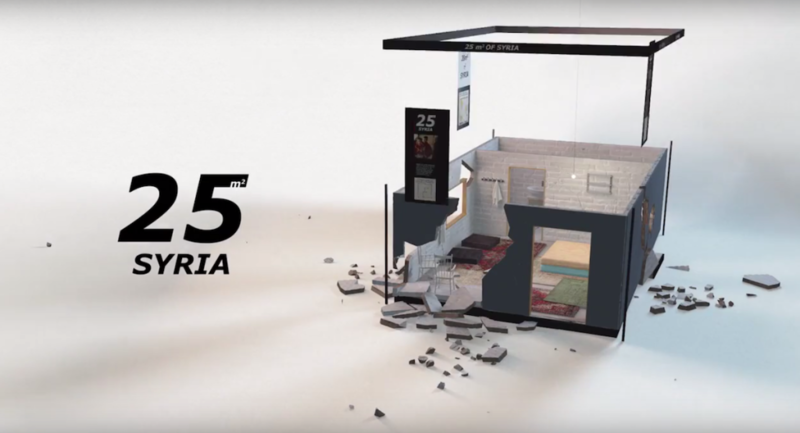 In tune with this concept, Ubisoft ran a marketing campaign based out of a mobile phone retailer. 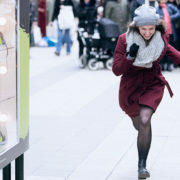 The campaign consisted of staged public stunts in which volunteers were told that their phones were capable of doing such things as turning on and off the lights inside of the store. By allowing an audience to experience some of the gameplay in real life, and share this experience across social networks, Watch Dogs soon became an underdog darling of the video gaming world up to unto its release. As you can see whether it’s using humor in advertising or crazy marketing ideas, making an impression is what counts when it comes to outdoor media. Advertising is often thought of as pretty straightforward, and it can be tempting to follow boring formulas to try to get your message across to consumers. But, there’s one thing that many people forget: advertising can be magical! When making an effort to push the limits of what’s possible, you might just be surprised at the results you’ll get. Are you not convinced? Then just keep reading to see how one group said some magic words on their billboard, and really got noticed because of it. 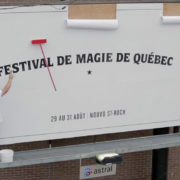 There has been a magic festival held in Quebec over the past few years. In order to prove their entertainment value, they always seem to come up with some impressive ads that are much more than just a poster on the wall. One of their most spectacular was a billboard that… Well, you should see for yourself. Watch this video before reading on. As the video shows, an average man was using a big mop to plaster up a straightforward sign about the show, but then things took an exciting turn. As the mop continued to work while flying through the air, many stopped to watch and be amazed. Fortunately, or unfortunately, the video revealed the trick. It’s not actually magic (sorry). There was an elaborate system on the back that pulled the mop around using a chain and magnets, but made it look from the front like it was the result of magic actions. True magic or not, this was really a preview of the show that they would offer. The festival is all about entertainment and allowing people to suspend their belief of reality in order to appreciate something spectacular, and they managed to prove their offerings before anyone had to pay for a ticket. Essentially, they gave a free sample, and all they needed was a billboard to do it. A good billboard drills everything down to one clear message and this one managed to do that. There wasn’t any extra noise on the sign screaming about headliners or where to read the program. In fact, it was extremely minimalist. It said the name of the festival, the date, and the location. Nothing else except for a little star. Anyone viewing it would quickly realize that if they wanted to see more (probably better) magic tricks, this festival was the place to be. True to their roots as magicians, they made sure that this wasn’t the only time to wow an audience. They’ve worked with the Ig2 agency over the years, and they’ve had quite a few impressive campaigns. In one, they looked like they were too lazy to create much of a poster, but it turned out that they needed a little help from the audience (some were even rewarded for their efforts). Another installation in a bus stop put the power of magic in the hands of people waiting for public transit – no magic wands required. 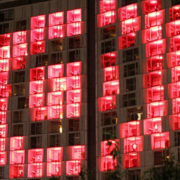 This is an interesting example of advertising in our modern times because many people are turning towards making elaborate digital displays. This is something that could have quite easily been animated, but then it never would have been so impressive. It was completely dependent on having an actual man and a physically flying mop finishing up a billboard of real material. That doesn’t mean that it had to remain out of the digital world, however. Many of those who saw it took photos and videos, and those will spread like wildfire on social media. Plus, a nice case study video like they created will let it live on long after the sign has been taken down – and people will still be interested in watching it. Another benefit of this is that it makes people wonder how it happened. That’s the most common question at a magic show, and anyone who can’t figure it out is likely to share it with their friends to try to help solve the mystery. Magicians don’t always want to reveal their secrets, but it was a good choice to do so in this video. Knowing how it works really convinces people of its authenticity, and that makes it all the more impressive. Another takeaway from this is that there are always more creative ways to build billboards. The digital age is pushing us toward signs that interact with people using complex systems and digital displays, but doing something like this can be just as creative. Do you have any clever ideas to give your customers a sample of your work while also keeping them entertained? If so, we’d love to help make them happen! No matter what state the economy is in, getting a job is always more challenging for young and inexperienced people than it is for those who have been working in their field for a number of years. Without a solid resume and some good connections, many turn to creative options to get noticed. There are many urban legends about different strategies that have worked over the years, but one man really took things to the next level with a plan involving a billboard. Adam Pacitti spent far too many months filling out a ridiculous amount of job applications, but he just wasn’t having any luck. It caused him to realize that he was going to have to try something a little bit out of the ordinary if he wanted to get noticed over all the other applicants, and he wasn’t afraid to invest some time and money in making it happen. 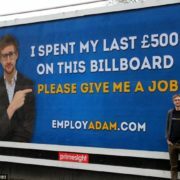 Instead of printing out more resumes, Adam had a billboard put up. It had a noticeable blue background, a photo of him, and a simple sentence. 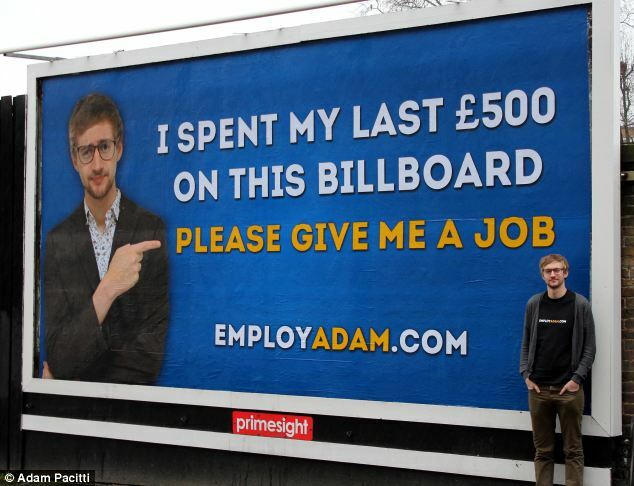 “I spent my last £500 on this billboard, please give me a job.” At the bottom, he left the web address of how to get in contact with him: EmployAdam.com. He was looking for a job in the media, so this use of clever advertising was a good idea. Among other things, the website contained a very well put together video resume explaining why people should hire him. The good news for Adam is that the gamble worked. After the sign went up, he was flooded with emails and social media attention as it spread around the internet. It led to receiving plenty of job offers, and he agreed to accept one form a production company called KEO. His job was to promote their projects and to work on a series where they help job seekers come up with innovative ways to get hired. It sounds like it was a perfect fit. Again, it contained a link to his website. It seems he was happy with his job, but he wanted to make sure to keep his options open. The second sign also received a ton of attention, so it really kept his momentum and story going. This whole situation is a great example to show how a wide variety of goals can be achieved with billboards. They’re not just for global corporations who have extra money to spend on additional promotions, but they can even work for very small organizations or individuals will straightforward goals. Before making a billboard, it’s a good idea to use some of the same strategies as Adam. 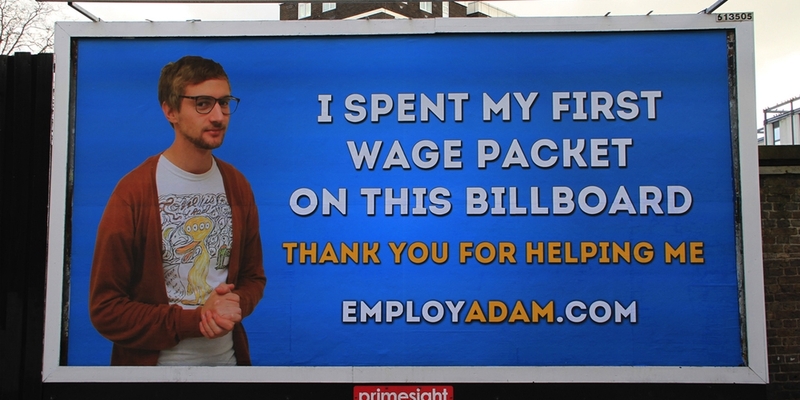 One of the main reasons this sign was so successful is that Adam had a clear goal before he started (get a job), and he got his simple message across easily (hire him). Billboards generally should avoid trying to solve more than one issue, and they should act as a step in larger campaigns. Adam’s did that by giving a very obvious call to action, and everyone knew they just had to visit his site to see more. Wanting a job as a media promoter really made this billboard a continuation of Adam’s brand. Not only did it show off who he was, but it proved he could do the type of job he wanted. It was a funny, entertaining, and well-made piece of media. In other words, for Adam, it was a resume and a sample of the kind of work he wants to do. Adam now works for a media company called WhatCulture, and he has been very successful there. He has also become well-known for making documentaries and online entertainment about professional wrestling, so the story really has a happy ending. Even if your goal isn’t to get a job, taking a page from Adam’s playbook may be a good idea. The billboard wasn’t the only step in Adam’s search for employment, but the other methods he had been trying were unsuccessful until he created the sign. Is there any part of your marketing strategy that’s also missing one key ingredient? In the world of marketing promotions and giveaways, not all are competitors are equal. Prizes and discounts are given out for many reasons, and it’s a popular strategy to grow a business. Some giveaways want to generate buzz, others try to get customers in the store, and some even just try to clear out old merchandise. But, there’s almost always a better strategy for business promotions then just randomly picking a person and handing them a gift. It takes time and effort, but it can really bring rewards. 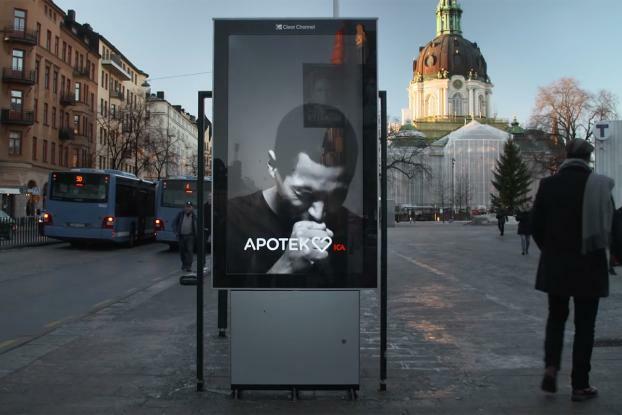 One promotion in Sweden used a billboard as part of the process, and the whole situation really got some hearts racing. 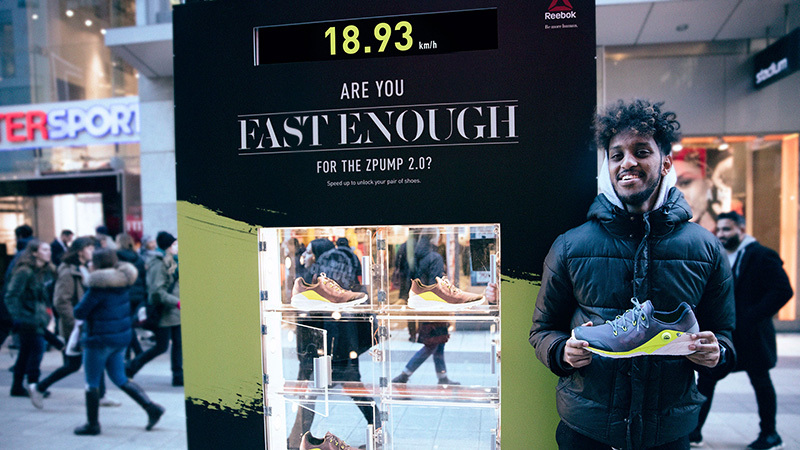 The billboard we’re talking about was assembled on a crowded shopping street in Stockholm, Sweden. But, instead of just being images and text, it basically looked like a display case full of locked plastic boxes housing the new ZPump 2.0 shoe model. And, customers could win it. There was a speed camera set up on top of the sign, and it would track exactly how fast people were running as they went past it. It had a digital display to show the number, and they were trying to top 17 kilometers per hour. If they were successful, a green light would turn on, and they could open a box to take out a shoe. If not, a red light sadly announced their defeat. The winners could trade the shoe in for their own size of the new model. The relatively new tagline of Reebok is “Be More Human,” and the whole point is to show that people get scrapes, worn out shoes, and much more when they’re pursuing strong fitness goals. It encourages them to push themselves to their limits, and embrace the pain along the way. It’s a brand that’s really been working to reinvent its image, and this sign matches with it perfectly. People don’t just get handed something, but they have to earn it. And, they don’t do it on an athletic field under perfect conditions. Instead, they do it in an everyday situation where they may or may not be wearing running shoes (it’s a lesson to always lace up the Reeboks in the morning!). The industry that houses fitness clothes and running shoes is fast and exciting, and it’s basically powered on adrenaline. Companies in this area have long known that hosting and sponsoring events and competitions will get them noticed. They slap their names on marathons, get their logos on sports teams, and make sure famous athletes mention them at the same time that they win something. They need to be associated with successful sports, and it really helps if their name is directly attached with a competition. But, nothing’s better than customers remembering the feeling of winning when they think about a fitness brand. Some people run because they want to lose weight, others because it relaxes them, but most simply run because they have a competitive nature. The message that this billboard conveys fits right into that, and it doesn’t even need the costs and challenges of hosting a major event to make it happen. Plus, it works from another monetary point of view. Prizes are only rewarded if people participate, so there’s no risk to hosting it. Billboards are a very old advertising medium, but technology has carried them directly into modern times. Technology isn’t required for great billboards (some of the all-time greats were very simple), but it’s a great way to add interaction. Without some sort of innovative feature, people are just viewers of signs. But, when they become more involved with the billboard, they feel like they’re part of something and become more loyal to the brand. Before you start to think about interactive electronics, keep in mind that one of the risks of exciting technology is the temptation to make something just because you can. This Reebok sign kept with a common theme that they like to portray, and that’s what made it so great and memorable. The difference between a gimmick and a brilliant idea usually just boils down to how relevant it is to the brand. Whether you’re a running shoe company or not, there are some clever ideas like this one that your organization can use. We’ve helped plenty of businesses create their masterpieces and pass the messages to their customers, and we’re eager to keep pushing the limits. Get in touch, and we’ll run through your ideas together! 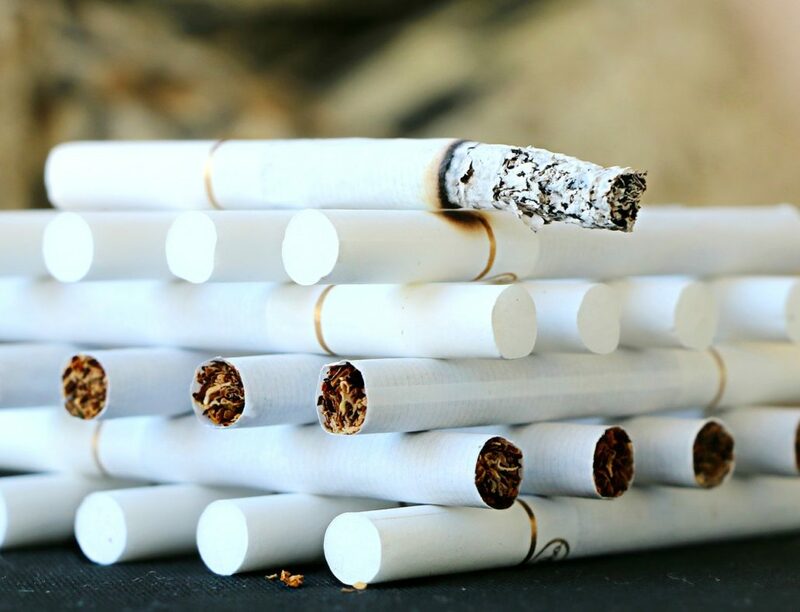 Doctors used science long ago to prove that smoking is an extraordinarily unhealthy habit, and it can lead to a large number of medical conditions. Also, it’s expensive, causes damage to buildings, bothers others, and has many other negative effects. Even with all of these reasons to stop smoking, people still do it. A lot of people. Why? Because it’s very addictive. Anti-smoking advertising has been going on for quite some time, but maybe a new strategy will help. After all, it’s quite embarrassing when a sign gives you a hard time while you’re walking down the street, as one in Scandinavia just did. 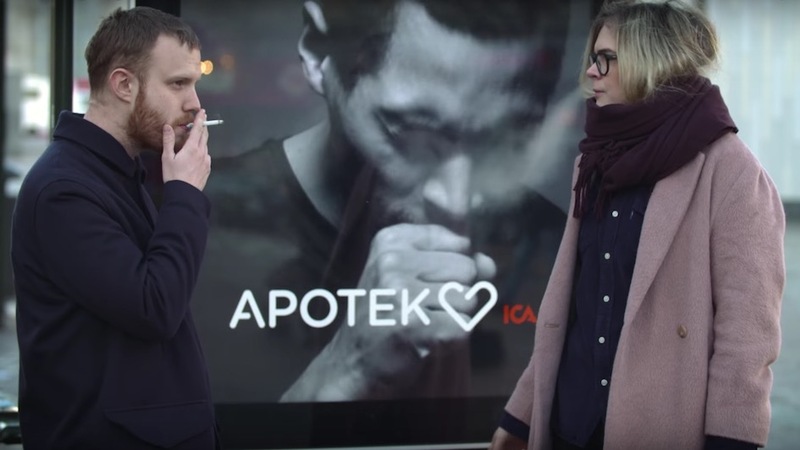 One of the most creative anti-smoking signs ever created was recently placed in a busy square in Stockholm, Sweden. This location was chosen because it happens to be a place where many people go to smoke. The sign itself was a digital display showing a simple image of a person in black and white, and the name of the business was displayed across the bottom. It’s the kind of ad you see all over the place, and you may not even register it above a subconscious level. However, what you don’t notice while just looking at it is that a smoke detector is hidden inside of the sign. When a smoker walks by, the machine picks up on the smell, and the image changes to a coughing man. It’s a very clear message that the guy is bothered by the harsh smell of the burning tobacco. Then, it shows some ads for some common products that will help people quit. This sign was done in such a clever way that a lot of people took notice. It was clear that it was reacting to the people walking by, and that unusual behavior led to some funny (and uncomfortable) reactions from the general public. The whole thing was a creative plan that was well executed, but the creators didn’t stop there. They also had a film crew around to discretely make a video of people’s reactions to the sign, and that was entertaining in itself. They shared the video online, of course, and this meant that it went from outdoor advertising to something that could freely spread around social media. It’s not uncommon to see stop smoking billboards created by governments or other non-profit organizations, but this one was made for a business. 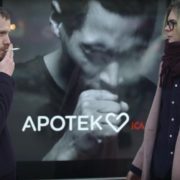 It was put together by the agency Akestam Holst, and they made it for the Apotek Hjartat pharmacy. When you think about it, it’s a perfect match for the brand. The purpose of a pharmacy is to help you stay healthy and live a longer life, and quitting smoking really contributes to that. So, not only was it funny and eye-catching, but the billboard remained relevant to the messages that the company wants to put out. Just as the location was chosen because it’s a place where many people light up, there was a specific reason of why they released it in January. This is the month when people are trying to follow their recently made New Year’s resolutions, and quitting smoking is one of the most common goals that people set. It’s also one that many people fail to follow through on because of how difficult it is. This is a fun, catchy reminder to help people remember what they’re doing, and it would still work in August, but it wouldn’t work as well without the extra timing element. This campaign accomplishes some pretty standard goals that companies aim for when investing in advertising. It helps their brand become known, increases sales, and gives updates about current products. However, it also takes things a step further by doing something that contributes to society. From a business point of view, a pharmacy will probably be able to sell products to smokers and non-smokers alike, so it’s not like it’s chasing away customers. But, if they build the image of being a trusted friend and valuable member of the community, they might just end up with more customers (even those who have never been interested in tobacco). Hopefully this campaign will serve as an inspiration to you in more ways than one. 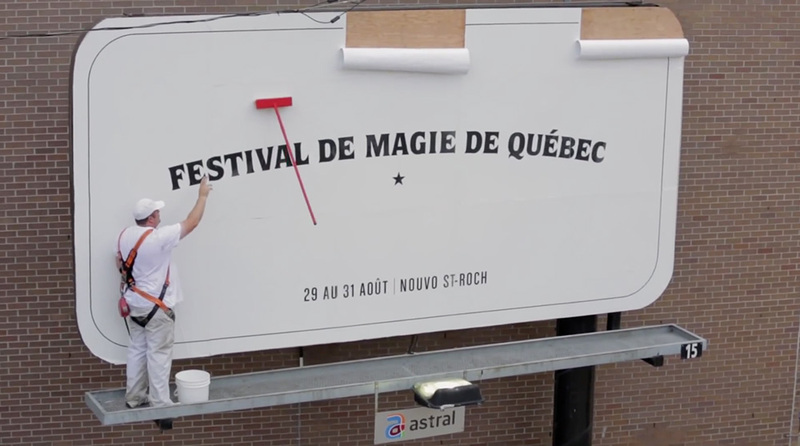 It’s a clever example of how you can mix outdoor advertising with a viral video, and it’s another case that proves that signs aren’t limited to being one-sided, static images. On the other hand, it should be a good challenge for you to find some social causes that can help boost your business. You don’t have to be in a field related to medicine in order to do something positive for the world, and even a small amount of effort can be enough to help you win some customers. Outdoor advertising has the possibility to do a lot of different things. The primary purpose is to create awareness of brands to people who are out living their lives, but they’re capable of doing much more than just that. It may sound slightly dramatic, but billboards have saved lives before, and keeping the creative ideas flowing means they can do it again. Does that sound too good to be true? It’s not. Here’s just one of many examples where a clever billboard took steps to save lives. To properly understand this problem, you would have to know about the driving situation in the country of Peru. There’s a very long stretch of highway that goes from the capital city of Lima to the neighboring country of Chile, and it goes through a very empty area. It’s part of the Pan-American Highway, which is a road that not only crosses two continents, but also travels the entire length of this specific country. It comes in from Ecuador, travels down to the capital city, and continues south to Peru. There’s one big problem along this stretch, though, and that is that there aren’t many places to stop and rest. That wouldn’t be too big of a deal if it was a short part of the road, but the fact that it’s more than 700 miles makes things extremely dangerous. About a third of all road accidents in Peru are caused because drivers are tired, but what can be done about this? It’s expensive and difficult to build rest areas, and then they have to be maintained and have the appropriate security for people to feel comfortable using them. If only there was a cheaper solution… Well, there is one thing, and Sodimac Homecenter did it. This became known as the resting house billboard, and that’s basically because it’s a billboard that has a house where people can rest. Under the sign (which advertises the spot), there is a series of little garage areas where drivers can park their cars. They are only enclosed on three of the four sides, and they’re decorated like little houses inside. The place is run by staff members to keep things organized, and they provide little things, such as sleep masks and WiFi access, to help the tired drivers successfully get some rest. This allows the travelers to rest, sleep, and get the relaxation they need to continue their long drives. 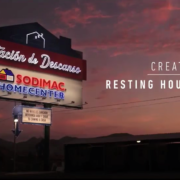 The resting house billboard was specifically created for the drivers of the Panamericana Sur Highway by Sodimac Homecenter and their agency McCann Lima. One of the most important reasons it was successful is because of the safety it provided. The first thought about it is that it kept people safe from car accidents because of fatigue (which is true), but it also kept them secure. It has 24-hour security in place, so drivers don’t have to worry about themselves or their property while they get some sleep. Despite the fact that this is a long, empty road, it doesn’t have any shortage of billboards. There are so many them that advertisers compete very heavily to get their signs positioned in a good spot, while also making sure that they have a memorable message that will be successful. With so much competition, it’s not an easy task. But, the resting house billboard seemed to work. If you’re not from Peru or one of the surrounding countries, you may not even be familiar with Sodimac Homecenter. It’s a major home improvement chain that comes from Chile, but also sells things in other South American countries. That’s the big reason why this billboard, complete with little houses, was a relevant concept for the store. This billboard builds the Sodimac Homecenter brand in multiple different ways. First, it just gives a positive image to the company, and people will remember it as a place that helps them. This will make shopping decisions easier when they need to work on their homes. Also, it fits in with the industry of the company. They sell home supplies, but that also means they try to make people have a safe and happy place to go to at the end of a long, tiring day. In a way, that’s exactly what they’re doing here. They became a little bit of home in the middle of nowhere, and the garages were decorated in a way that remind people of that. Third, it really got a lot of attention because of how creative it was. This made it so that many consumers could get the message, even if they didn’t drive down the road. The moral of this story is that brands can solve problems with their advertising, and they manage to get twice as much publicity because of it. 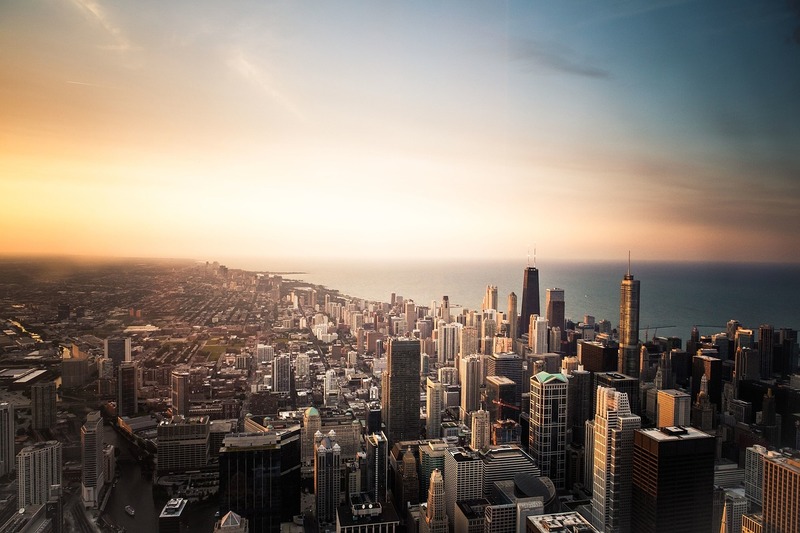 No matter what industry your company is in, how can you use outdoor advertising to improve lives, and get noticed? 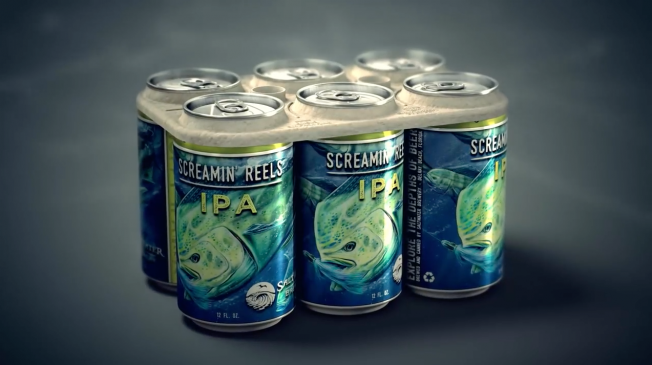 Almost everyone has pulled a can out of those little plastic holders that keep six packs together, and most people are slightly aware that these often end up in the oceans. It’s easy to ignore this fact and assume the fish will be fine, but is that really the best course of action? One brewery didn’t think so. They solved the problem and earned some more customers because of it. Read on, and maybe it’ll give you some inspiration to do something similar! 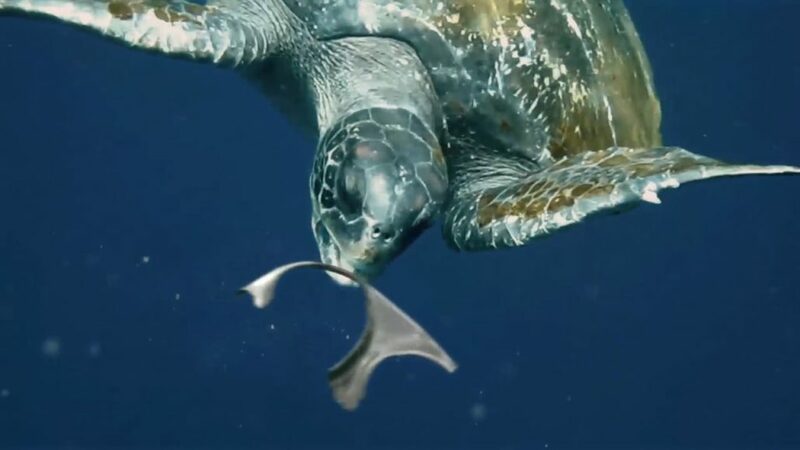 Every year, humans produce hundreds of millions of tons of plastic, and a small percentage of this ends up in the oceans. Unfortunately, that small percentage is still a large number. It’s one thing to have trash floating in the sea, but the big problem comes from the fact that it turns into fish food. The animals don’t know that they shouldn’t eat it, so they try to munch away. Then, they get trapped in things like the six round rings that hold cans together, and both of these issues can end up killing them. So, a brewery went to the trouble of manufacturing at an alternative to the plastic, and this is what holds their cans together. It’s both biodegradable and safe for sea creatures to eat. In other words, it becomes fish food if it gets in the ocean, and if no one’s biting, then it simply dissolves. It doesn’t leave a negative impact on the environment. If that’s not enough to be impressive, they make it from a byproduct of the brewing process. Instead of needing a new material, they just take some leftover grains that they don’t need anymore, and they give a new life to it. It brings recycling to a whole new level. Thinking up an incredible idea like this is a lot of fun, but it’s much more beneficial to a brand if it’s not related to a completely random subject. If this was a brewery located in the middle of the desert, it would still be nice, but it wouldn’t make as much sense. 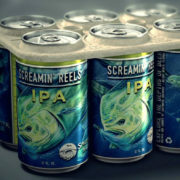 Instead, this was made by Saltwater Brewery which is located in Florida. They have a direct connection to the water, and many of their customers are surfers who drink cans of beer while sitting in the sand. So, by helping preserve the aquatic environment, they were solving an immediate problem that their community witnesses. This is so important because it gives them a direct competitive advantage over other breweries. Many of their competitors grab some beer and head to the beach, and which brand do you think they’re going to choose at the store? Most require more maintenance and still may harm the environment, but one makes their life easier in an exciting way. 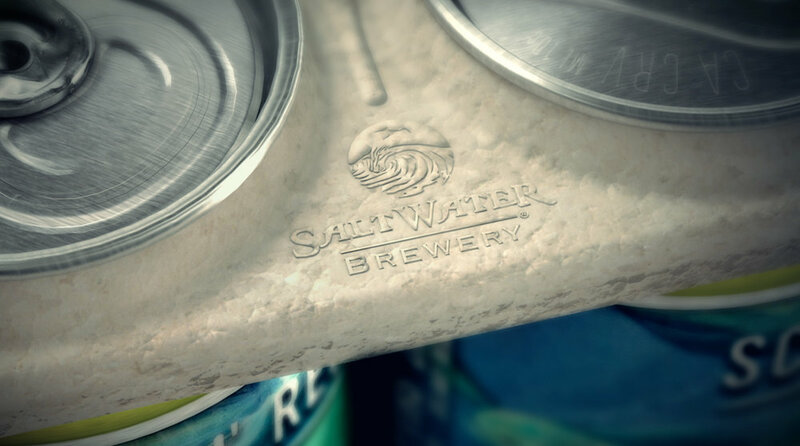 Saltwater Brewery is not a company that relies on the sea. They are located near the home of the fish, but it’s not their job to solve this problem. Shouldn’t this product be developed by plastic companies? Or fishermen? That would be logical. The brewery impressed a lot of people by being open minded about what they can do, and many took notice. Take this as a lesson that your business could become popular by working on a problem that you’ve never felt responsible for before. It’s safe to say that they were rewarded for this effort. Saltwater Brewery got more than 3.5 global media impressions in less than a week, and they didn’t even make a large investment to get there. This trend continued, and they had millions of shares and views on social media. You can buy that type of media coverage if you want to spend enough, but something like this will earn it for free. A lot of people liked the idea, and that included the judges who handed out advertising awards. 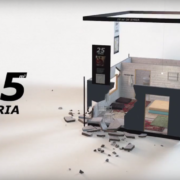 Together with the agency WE BELIEVERS, this project won for creative innovation at the Cannes Lions Festival in 2016, as well as multiple other awards for PR and innovation. It’s well known that good advertising can sell mediocre products, but even the best ideas don’t sell if no one knows about them. That being said, it’s a lot easier to advertise something that people want and like. This is a perfect example of how a small advertising budget can achieve much bigger results if you really understand your customers. This example was good for the company, the consumers, and the ocean, so it was a win-win situation for everyone involved! Do you have any similar ideas for your company? Set your goals high, and we’ll be happy to help communicate your message. Let’s make a positive change in the world, together. Black Friday is a tradition in the United States that isn’t always thought about in a positive way. In fact, when talking about the day, most people first think of shoppers getting in physical fights over good deals on random products. Companies constantly try to outdo each other with better sales, earlier opening hours, and other stunts. But, one company managed to rebel against the practice, and they did so in a spectacular way. 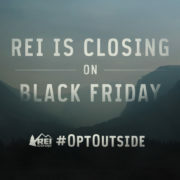 Not only did REI skip the discounts on Black Friday, but they didn’t even open their doors. And people loved them for it. REI is a major retailer that sells high-quality outdoor equipment, and they’re a perfect example of the type of company that could take advantage of Black Friday. They could generate publicity and get customers through the doors by offering extreme discounts on expensive merchandise, and many of their competitors do just that. In 2015, however, REI went the opposite direction. They decided to close all 143 of their retail stores, as well as their headquarters and distribution centers. This isn’t completely unique since other companies have been known to do the same, but they took it one step further. The company decided to pay all 12,000 of its workers as they would any other work day. It does sound a little crazy, right? After all, it makes sense to be closed on the day after a major holiday so that employees can spend time with their families, but why pay them? It was part of their bigger campaign: #OptOutside. They really value getting into the great outdoors (the reason for selling the products they do), and they wanted to encourage their employees to take their families and friends into the wilderness for the day. A paid day off is a good way to make that happen. The campaign was such a success the first time around, that they decided to continue it again in 2016. They boosted awareness of their cause the first year by giving plenty of advice on hiking trails and other ways people (not just employees) could get outside, and they still maintain the #OptOutside website that hosts all this information. It looks like this is an REI tradition that won’t go away anytime soon. It probably won’t shock you to learn that this whole campaign has generated tons of media attention, or in other words, plenty of free marketing. The #OptOutside hashtag allows people to communicate about it on social media (with more than 1.2 billion impressions in the first year), and plenty of news outlets covered the initial announcement and follow-up activities related to it. Taking it one step further, REI has teamed up with a large number of brands and non-profit organizations to help turn the concept into a movement. News organizations will take notice when Subaru or national environmental organizations get involved, but they’ll always mention how the idea was started by REI. 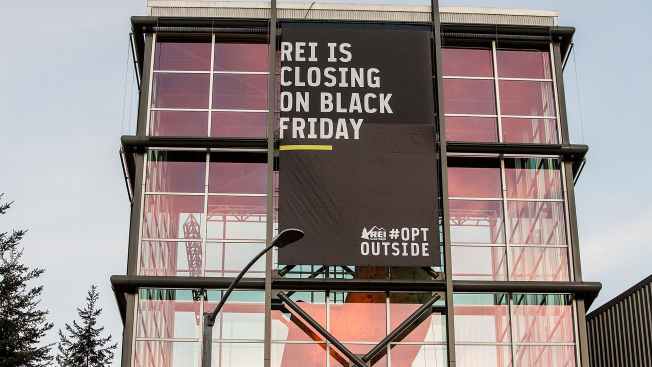 Even though the purpose wasn’t just a marketing campaign, it’s safe to say that REI didn’t mind all the positive attention. An important aspect of this campaign is that it wasn’t just a completely random publicity stunt. Any retailer could easily have given their employees a paid day off and received some positive recognition for it. But, it was key that it matched REI’s message. The company is known for caring about its customers, employees, and the outdoors, and it often contributes to helping preserve nature. That’s what really made this so memorable. They found a genius way to put their money where their mouth is, and people loved them for it. Another key takeaway from this campaign is how it was so successful because of multiple forms of advertising. They had signs in and out of their stores, online content, a social media hashtag, and much more. Using this made it easy for the idea to make it to a diverse group of people, and it helped spread the message far and wide. If they had promoted it in a way that was too basic (such as using only one advertising channel), it may have only resulted in a program that made employees and loyal customers happy, without managing to tell the general public about it. What Movement Can Your Company Start? This success story should serve as an inspiration to you. If you find a cause that closely matches the value of your company, then a little creativity can turn it into a brand-defining campaign. And if you use the right marketing mix to spread the message, you could end up getting tons of free media attention for years to come. 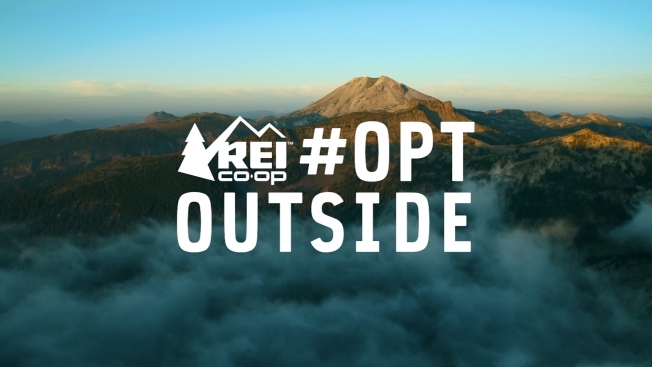 REI has decided to #OptOutside. What can your company do? Most people would like to help a good cause if they are able, but sometimes they’re not sure how to go about doing it. Instead, they go on with their daily lives and tune out the misfortunes of others. But, since they don’t really think about it, their conscious remains clear. However, one major retailer recently teamed up with a large charity to bring a war zone to a peaceful country. 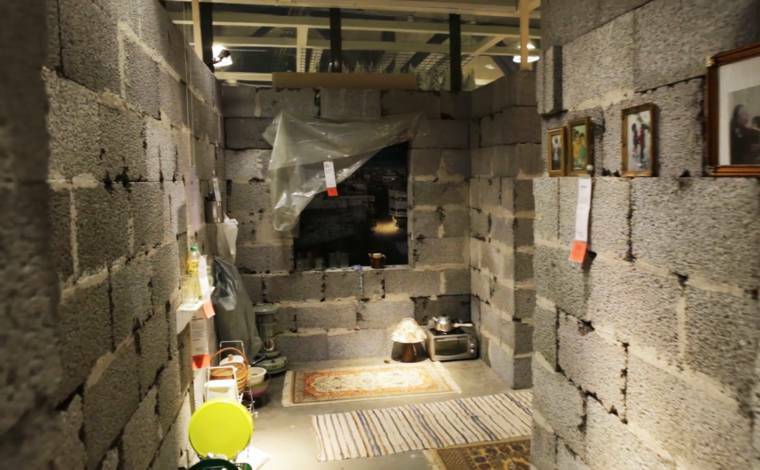 Shoppers in Norway went to buy furniture and housewares in a local IKEA, and they encountered what it feels like to live in the middle of the war in Syria. The display inside the Norwegian store was a 25-square-meter replica of an actual home in Damascus. It was built of realistic materials (not just false backdrops), and it was mixed in with the other kitchen displays selling Scandinavian housewares. The price tags looked just like the others around the store, but they actually contained information about how people are living in Syria right now. Since that didn’t quite meet the whole goal, they also provided instructions on how people could donate to help the Syrian residents. This was a major effort by IKEA, but they made sure it wasn’t all about them. It was done as a partnership with the Red Cross, and that was helpful for a few reasons. First, it added a lot of depth and credibility to the campaign. It’s obvious that IKEA doesn’t have a direct presence in Syria, so they would have to partner with some organization to make an impact. Next, both brands generally have a positive image (even though they’re very different), and putting them together will build a comparison in the minds of consumers that’s likely to last a while. There was a time when advertisements were fairly simple, and their whole purpose was to increase sales. Those times are gone. Consumers now want to feel connected to a brand, and they want to know that they share similar values. Advertising has to be a way to get into lives of average people, and only then will it influence their purchasing decisions. Shoppers aren’t always only interested in the lowest price or the highest quality. We’re seeing a growing trend that people want to be part of ethical movements, and unique marketing campaigns like this can be the way to convince them. This display was set up for less than a month, from October 17-31, 2016, but it made a big impact during that time. It raised about 22 million euros of donations that went to the Red Cross in order to help in Syria. Plus, more than 40,000 people visited the display each week, so it likely made a lasting impression on all of them. IKEA, like many other large corporations, tries to have a positive image with regards to Corporate Social Responsibility. They often focus on sustainability issues, which is logical since they are primarily a manufacturing company. However, they also try to help people and the planet, so this matches with one of their clear goals. It wasn’t just a random publicity stunt. In this case, the Red Cross could have set up a similar house on a street corner in a major city. That would’ve attracted a lot of attention, but it’s unlikely it would’ve had as much of an impact as it would in a store that many people are familiar with. Charities can usually benefit from any help that they are offered, but assistance from a popular company can turn customers into humanitarians. This was especially powerful since it was based on a real home, and the display gave information about the people who live in it. Also, the contrast was highlighted by the fact that it was next to the normal scenes of Scandinavian homes that shoppers were used to. While they were imagining they’re own kitchens and bedrooms, they faced the hard truth of seeing how so many unfortunate others are living. Marketing isn’t always about raising sales. 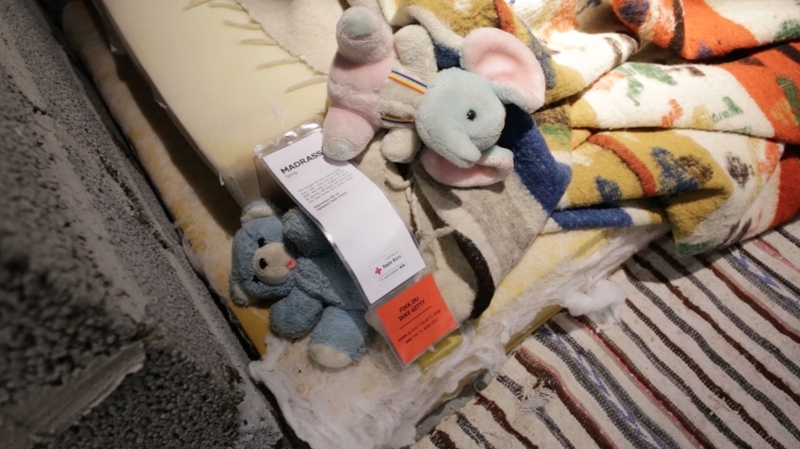 In this case, shoppers sent money to the Red Cross, not to IKEA. But, this will benefit their brand as a whole. Now they’re viewed as a company that helps those in need, and that will motivate shoppers (often on a subconscious level) to purchase from the company that’s trying to save the day. Have you ever thought about a similar campaign for your company? You don’t have to help someone who’s on the other side of the world, and instead you could offer support to someone right here in your own community. We would love to give you the assistance you need to bring positive change to the world, so give us a call, and we’ll be proud to be part of your marketing mix. Chicago is a great city, but you’re going to have a hard time finding someone who doesn’t complain about the brutal winters. The intense cold and constant days of snow really start to get to the residents, and they eventually begin to dream of an escape. Naturally, many think of sitting on a sunny beach somewhere, and they imagine feeling the sand against their skin. Well, if that’s what they want, then why not give it to them? Puerto Rico figured out a way to do just that, and it let to quite a few residents of the Windy City throwing sandals and sunscreen into a suitcase. Like most islands in the Caribbean, the warmth and sunshine of Puerto Rico make it a popular place for tourists to visit. Not surprisingly, many of these people come fleeing the colder winter months in the US, and a lot of them call Chicago home. But, the challenge for Puerto Rico Tourism is always how to motivate people to come to their beaches when so many others are about the same distance away. 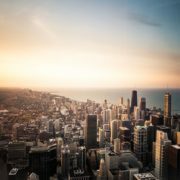 Many times, the plan has been to go after the ease which US citizens can visit, and they highlight that it feels like an international trip, but a passport isn’t required. However, this message tends to get less exciting over time, and it can really pay to try a new strategy every now and then. 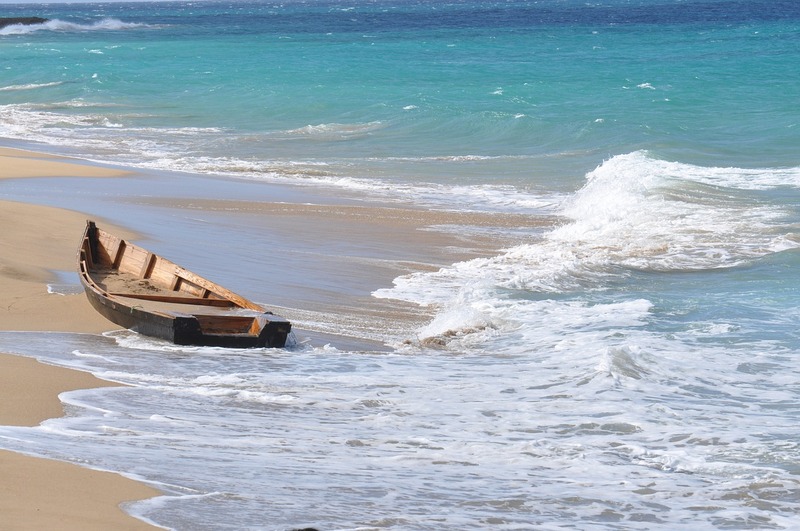 Fortunately, JWT Puerto Rico and Puerto Rico Tourism came up with a clever solution for this problem. 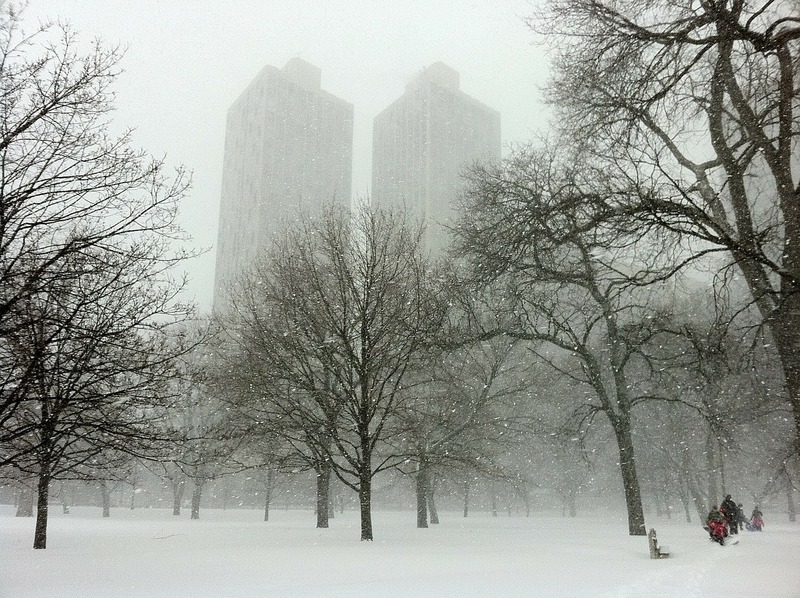 February of 2016 saw a van driving through the snowy streets of Chicago. The pictures on the side showed a tempting beach scene, and there was a very strong contrast between that feeling of warmth and the cold air outside. But, this particular campaign was more than just a rolling billboard. The van was loaded with sand that had been shipped from Puerto Rican beaches, and it was held in specially designed little buckets. These were handed out to the cold residents, and the lid proudly proclaimed that “Puerto Rico Defrosts Chicago.” It went on to talk about the average yearly temperature on the island, and it had some special offers for anyone thinking about making a trip. It may seem strange to go to the trouble of sending sand such a long distance, but they had a specific reason in mind. The aim was to let the residents use the salty substance to melt the snow on the walkways in front of their houses. In fact, many people returned home to find a bucket sitting there waiting for them. Their message that “Puerto Rico melts winter away” is witty because it follows an unusually literal strategy. It’s easy for a tourism organization to make a claim about that, but when it’s a fact (not just an exaggeration), people really start talking about that. Take it as a lesson to search for similar sentences in your advertising. A lot of the hottest ad campaigns use cutting-edge technology, but this is a perfect case to show why that isn’t always necessary. The fanciest bit of machinery in this one was a van, and the primary piece was sand. Sand is basically free, and it’s the complete opposite of the fancy tech we have in the 21st century. In other words, spending a ton of money isn’t always necessary to get some attention. Another aspect of this campaign that really made it stand out was the mixture of the types of media involved. Usually, the only way to demonstrate travel is with photos or stories. Otherwise, it’s almost impossible to bring anything to potential customers or interact with them in any other way. So, this was a genius way of doing it. Plus, it’s always great to have many different dimensions for campaigns. Your customers can see your billboard, read your email, get a coupon in a store, or hear an ad on the radio, and it will all connect together to gain some loyalty. Do You Have a Similar Idea? Don’t worry if you don’t think your business will benefit from handing out sand – that’s not the message we’re trying to convey here. The point is that creative thinking can go a long way, and the most basic ideas can see great results. We believe that billboards are a critical piece of any campaign in Puerto Rico, and we really love being a part of something creative and fun. If you have any ideas that you’re trying to figure out how to pull together, go ahead and reach out to us. We’re happy to do some brainstorming to help with your brand building.